Hi, I’m Ty and I’m an Art Director Intern with Disney’s Yellow Shoes Creative Group in Orlando, Florida. Yellow Shoes is the design company that handles all advertisements and campaigns for Disney Parks, Resorts, Cruises, and others. 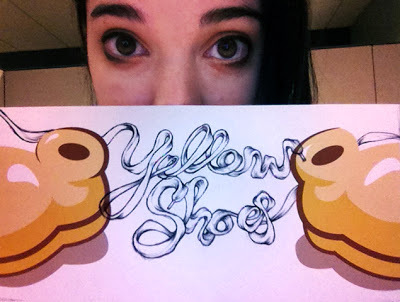 If you’ve ever seen a billboard, online banner ad, or a commercial for Disneyworld, it was made by Yellow Shoes! As an Art Director Intern (with a focus on Interactive Design), I’ve helped with and directed projects like emails, print pieces, newsletters, info graphics and more. The creative team even let me illustrate for a campaign of emails and concept art for this year’s Christmas card!